WASHINGTON -- The Army collaborates now more than ever with the Air Force and Navy, and development of a hypersonic weapon is a good example, senior leaders said. 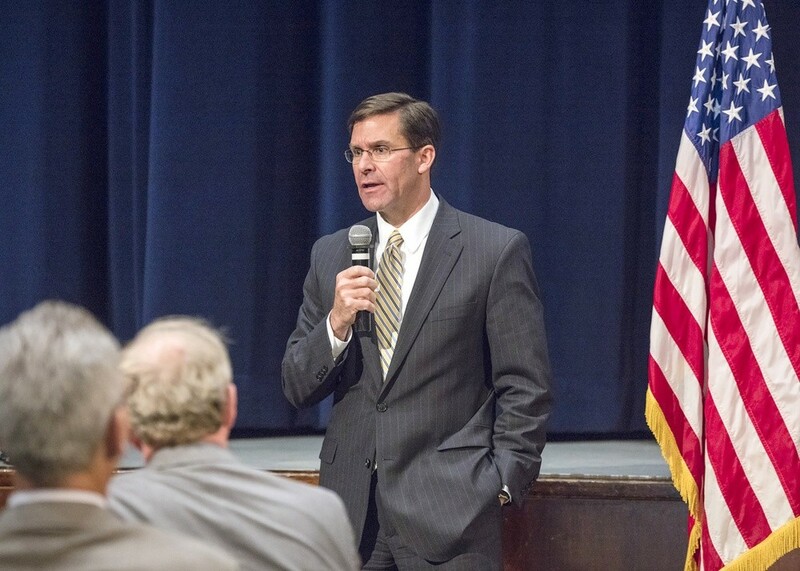 Secretary of the Army Mark T. Esper spoke Friday at the Center for Strategic and International Studies on a panel with Secretary of the Navy Richard Spencer and Secretary of the Air Force Heather Wilson. "The three of us are completely aligned," Spencer said. "There's no staff there," Wilson said about the breakfasts. "It terrifies the Pentagon." "The Army and the Navy had come up with a shell that they were able to get up to hypersonic speeds -- five times the speed of sound -- and maneuver it," Wilson said. "Ours didn't work," she said of the Air Force experimental model. "But what we have are rocket engines that we think are better than the ones that they had developed," said the Air Force secretary. "And so we got our engineers working together. "We have a Navy-funded, Army-tested shell of a weapon with an Air Force rocket-motor that's going to go on it." "By working together, we stripped five years out of the likely fielding time for a hypersonic weapon," she said. "It's a joint force, a combined force," Esper said. "The more that we can move closer and closer together, the better," he said. "The Army's new Multi-Domain Operations doctrine envisions a new way to operate and organize," Esper said. "So I could support, for example, the Air Force with long-range suppressive fires to go after enemy air defense systems at great, great distances." "It allows us to work cross-domain, supporting one another in different ways. And of course, for us, multi-domain is not just the air domain, but it's cyberspace and the electro-magnetic spectrum as well." The Air Force now has 80 satellites in space and some provide information to ships at sea; others to Army shooters on the ground. Wilson cited this as another example of working together. "If we do not modernize the force now, we risk losing a future conflict against Russia or China," he said. "It's that simple. We cannot continue to live off vehicles that came into the Army when I came into the Army in the 1980s." 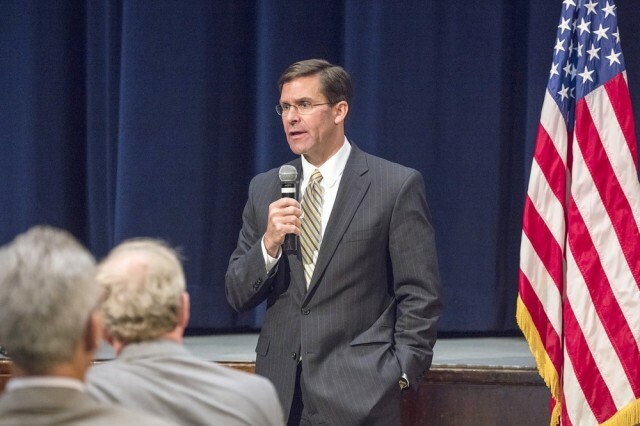 Army Futures Command involved the largest reorganization of the Army in 45 years, Esper said. Last month, the Army's Research, Development and Engineering Command came under the Futures Command and changed its name to the Combat Capabilities Development Command. It's all part of a "renaissance" in the Army that will shift budgets and realign organizations, he said. "If I'm not able to make that shift, from the legacy to the future, we risk losing the first fight of the next war," Esper said.